We both believe that media is a powerful tool that can be used to teach school-aged children and practically anyone interested learning the Navajo language. In today’s digital age there are multiple opportunities to utilize social media to document our history and revitalize the Navajo language. If you look around, you will see kids on cellphones and tablets, watching television and YouTube. Their constant use of digital media convinced us that it is the easiest way to teach and reach our youth today. Through both our modern and cultural experiences over the years, this project has brought us back together and we are determined to help save our Diné language for our elders, families, youth and our future. We hope our story will inspire our Diné tribal members and other indigenous peoples to become involved in saving all our ancestral languages. 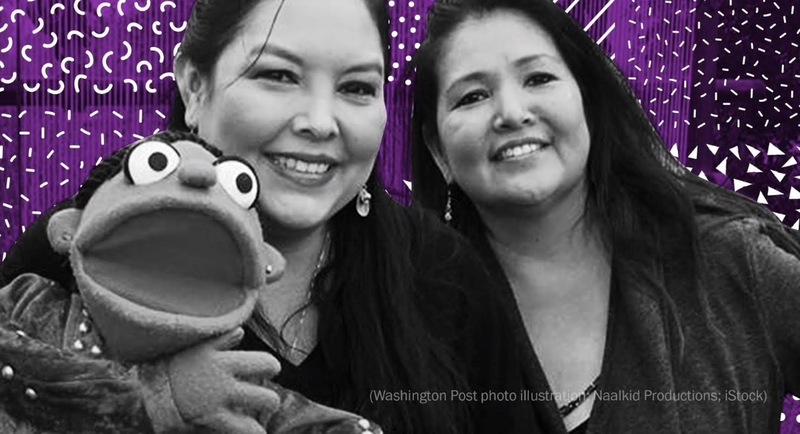 “How can you teach the language?” questioned Dr. Shawna L. Begay when she first thought of developing “Diné Bi Na’alkid Time” (Navajo movie time), a show that will utilize a “Sesame Street” format to teach Diné Bizaad. “Sesame Street” is a PBS children’s TV show that uses puppets of animals and made-up creatures to teach children how to count, what different words are and much more. There are also human characters in the show. This type of programming is often referred to as “edutainment,” a word that combines education and entertainment. 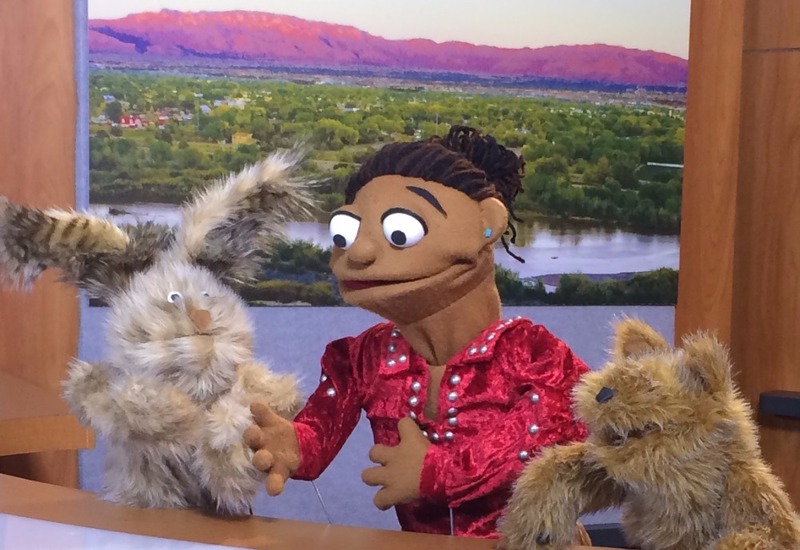 “Diné Bi Na’alkid Time” will utilize a similar format of puppets and human characters to teach the Navajo language. “Like many Navajo tribal members, my parents were part of the boarding school syndrome and were abused and punished if they spoke their traditional Diné or Navajo language. I wasn’t raised to speak my language, so I would be more successful in life, is what my parents were told. Because it was important to me, I took Navajo language classes at the University of New Mexico and even then it was considered a foreign language,” said Charmaine Jackson, co-producer of Diné Bí Ná’ákid Time. Dr. Begay and Charmaine Jackson teamed up to produce the first-ever Navajo puppet TV show called Diné Bí Ná’ákid Time or ‘The Navajo Movie Time.’ The show is geared toward pre-school students ages 4 to 6 year olds to teach them the Navajo language and culture for the purposes of saving, rejuvenating and revitalizing through educational media. Statistics from the U.S. Census 2011, states there are 7,600 traditional Diné or Navajo-only speakers and about 169,000 Navajo-English fluent speakers. Currently, there are over 300,000 Navajo enrolled members and that could be interpreted as more than half of our nation doesn’t speak the Navajo language and it’s declining. Being Navajo or Diné also comes with a long history of assimilation, discrimination and an annihilation of a race of people. Most natives who have survived today describe it as walking in two worlds. 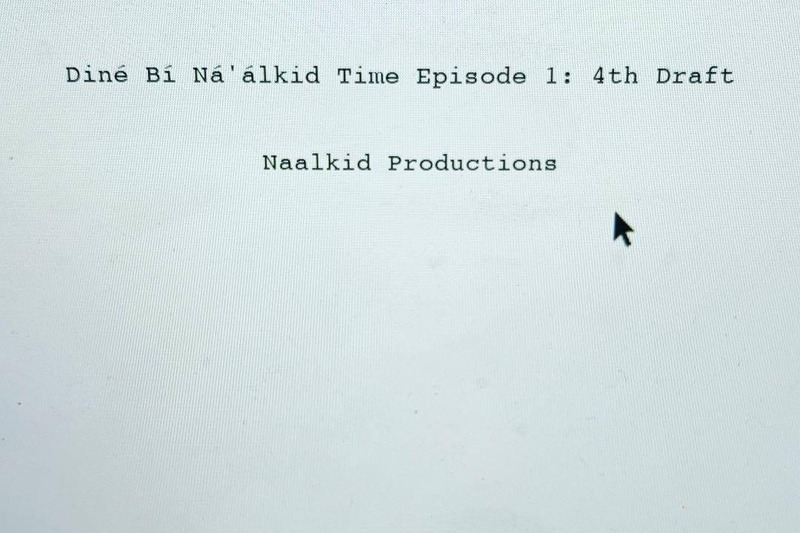 The production of Diné Bí Ná’ákid Time is a powerful media-learning tool that can be used to teach school aged children and practically anyone interested learning the Navajo language. In today’s digital age we live in and there are multiple opportunities to utilize social media by documenting our history and revitalize the Navajo language in a new teaching format. 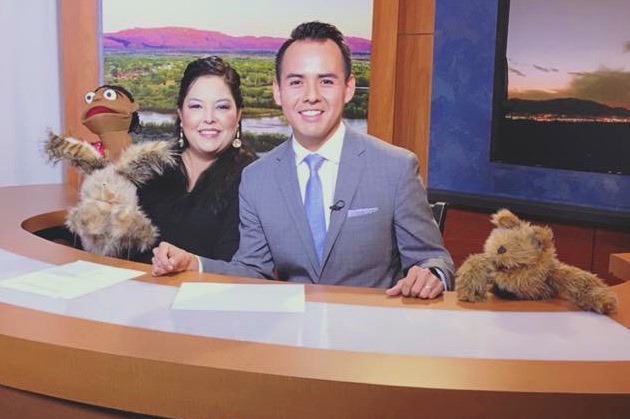 The direction of the show is to draw attention, using puppets named Nanabah, Gah (Rabbit) and Dlóó (Prairie Dog) and other animal characters to attract a young audience that is specifically interested in the Navajo language. Our Navajo or Diné language is in danger of becoming extinct. 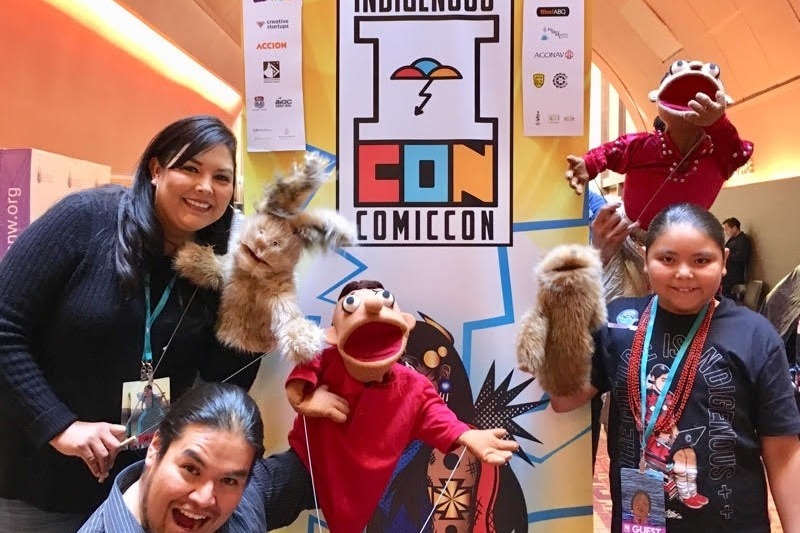 Help us create and develop the first Navajo-English educational media TV puppet show, "Diné Bí Ná’álkid Time” which means 'The Navajo Movie Time.' It will inspire and teach our youth basic language skills using media as a technology tool. Parents, grandparents, children and grandkids can learn to speak Navajo fluently together within their own homes. Long-time friends and educators, Dr. Shawna L. Begay and Charmaine Jackson have teamed up to create this new TV pilot for an all-ages audience or for anyone who wants to learn the Navajo language. With your support, it'll be the first educational Navajo and English puppet show that will teach and preserve the Navajo language and culture through digital media. After several years of extensive research on the Navajo Nation, Dr. Begay recently completed her PhD from the University of Nevada-Las Vegas with her doctorate thesis, ‘Developing A Navajo Media Guide: A Community Perspective.’ As project director, she quickly realized she was a pioneer on the topic. Dr. Begay and Jackson, co-writers of the show, developed the first 3-puppet characters and plan for many more. The pilot features Nanabah-a young Navajo girl, Gáh (Rabbit) and Dlǫ̀ǫ̀ (Prairie Dog) who will go on endless adventures learning about language, gardening, the environment and the importance of family values. Nanabah is fluent in Navajo and likes to teach children about life on the reservation with her animal friends and special guests. 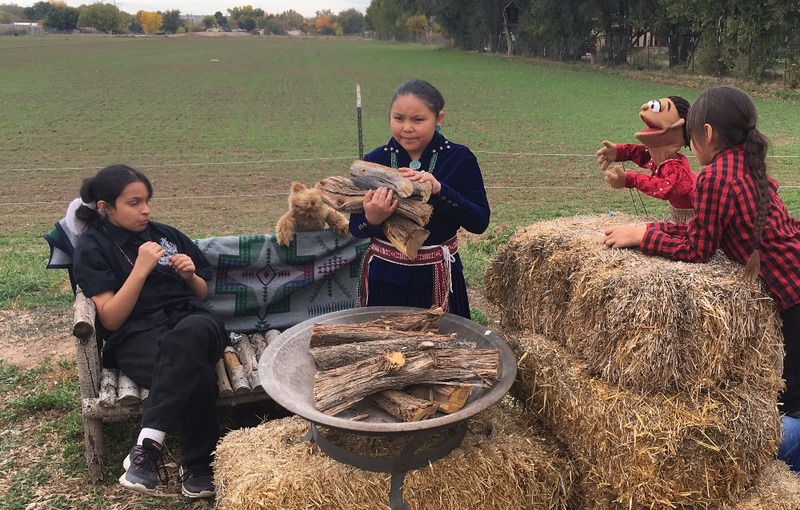 Children who want to learn Navajo will also be an important part of the show by interacting with Nanabah, her friends and storyline. Dr. Begay’s research concluded there exists very little research in the area of Indigenous educational media. Currently media is a very powerful tool that can be used to teach. She is cognizant of the digital age we live in and the opportunities to utilize media to revitalize the Navajo language. “Star Wars and Finding Nemo," dubbed in Navajo, was a great place to start and it has garnered national exposure of our language. However, we need a show based on our own Navajo learning principals our ancestors set out for us to learn and live by. I don’t think a non-Navajo, non-Native or non-Indigenous person can do that for us, nor should they. We, as Navajo, need to produce this show ourselves, if we are to be truly sovereign,” added Dr. Begay. 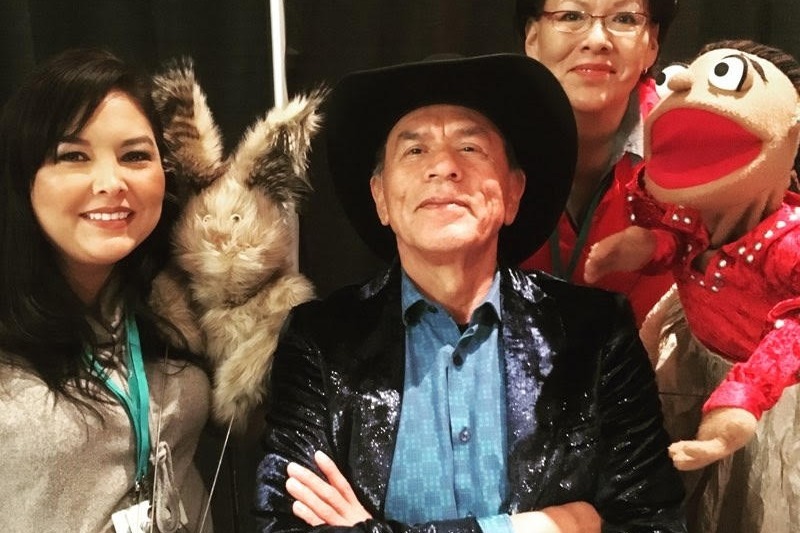 Both educators, Dr. Begay and Jackson, of Naalkid Productions have been talking about this educational language project for about the past four years and still have a long way to go to finance their dream. We aim to raise $50,000 with this project which will allow us to continue with pre-production and production aspects of making this digital media project become a reality. We need your help to save our language by teaching Navajo to our future generations. -Equipment: cameras, sound, lights, etc. She is an award-winning filmmaker from Window Rock, Arizona and currently lives between Phoenix and Las Vegas. Dr. Begay is a graduate of the prestigious Chapman University, earning a Master of Fine Arts in Film Production. While working as an intern with VegasPBS she produced "Helping Native Americans Graduate" in 2012, which went on to win various media awards. Her research in the area of Indigenous educational media is the foundation for our current language show. She is also a recent graduate of the University of Nevada, Las Vegas, earning her philosophical degree in Educational Technology. Ms. Jackson is an educator, film advocate and an award-winning broadcast TV & radio news anchor and reporter. She was born in Fort Defiance, Arizona but mostly grew up in Shiprock, New Mexico. Ms. Jackson graduated from the University of New Mexico with a BA in Broadcast Journalism, a minor in film and media studies and completed Navajo linguistics courses. She has worked in government public relations for about six years, with two Navajo Nation presidents and NM Governor Bill Richardson. In the last 15 years, her experience in the media and film and TV industry includes: the New Mexico Film Office, Nat'l Museum of the American Indian Film & Video Office-New York & Native Cinema Showcase; Nat'l Geographic's All Roads Film Project, KOBF 12, KIMO 13 and Native America Calling. Ms. Jackson has been awarded by: the Native American Journalists Association-Golden Circle Award; Society of Environmental Journalists; U.S. Senate Radio & Television News Director's Foundation Fellowship; and the Nat'l Museum of the American Indian Film & Video Center-NYC. Gah and Nanabah visited Chaco Canyon. "We love Chaco Canyon and I hope it stays beautiful and sacred," said Nanabah. 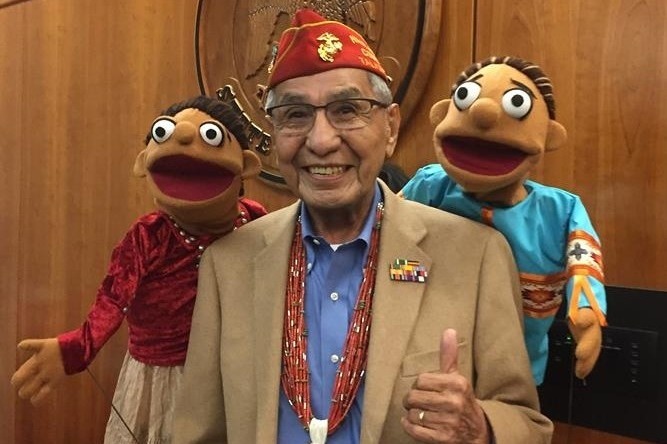 Nanabah & Max were proud and honored to finally meet Navajo Code Talker Peter MacDonald at the 2019 New Mexico State Legislative Session in March. "We are excited to hear about the new Navajo Code Talker's Museum & Veterans Center to be built soon and near my grandma's house too!" said Nanabah. Max added, "I can't wait to visit and learn more about the unbroken Navajo code." Thank you all for your kind and generous donations! We are still a bit short of our goal by a little over $11,000. But we are still moving forward with our first episode! Naalkid Productions has been working behind the scenes on pre-production. We have a very special Navajo guest confirmed for the 1st show (details to come soon), and we are on our 4th draft of the 1st script. And the password is Max. Thank you again and Please share our GoFundMe! We are still in need of production funds to finish up the show. Ahéhee'! Thank you for all your heartful and generous donations, no matter how big or small, every bit helps us reach our goal to produce the 1st Navajo language Puppet Show: Diné Bí Ná’álkid Time (Navajo Movie Time). We have recently been spreading the word about the show by attending events. On November 2-4 we attended Indigenous Comic-Con where we interacted with many kids of all ages and parents. WE NEED YOUR CONTINUED support to reach our goal of $50,000 to produce the first episode. Please continue to share our mission with others and like us on social media (Twitter, Facebook, and Instagram) to keep up with the latest news and events that Nanabah and friends will be attending. Thank you again for believing in us and getting us to the next level to #HelpSaveOurNavajoLanguage. Please enjoy this short segment we produced where Nanabah sings and counts to ten in Navajo as a preview of the show. (Song Credit: Former Miss Navajo, Jolyana Begay-Kroupa).